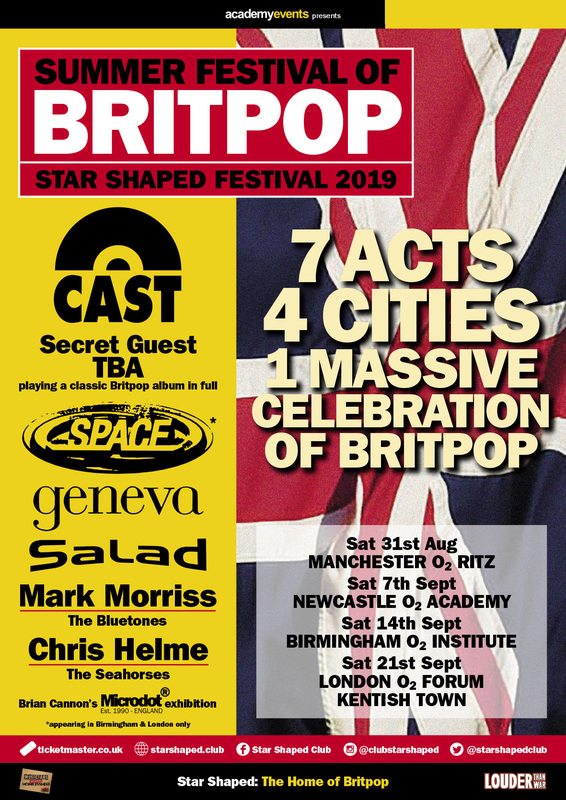 Cast, Space, Geneva, Salad, Mark Morriss (The Bluetones), Chris Helme (The Seahorses), plus one more huge Britpop act TBA!! 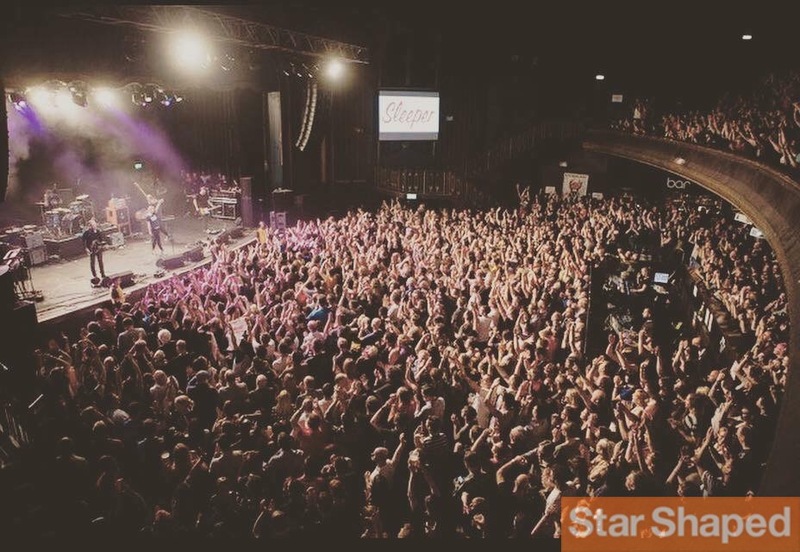 Star Shaped Festival is back for its fourth year! Following on from its success in London in 2016 when it first made its debut, the festival that has become renowned by fans of the music and the artists of the Britpop era as THE event of the year and is once again delivering with an all-day marathon of live music plus, Star Shaped resident DJs bringing the party before, between and after the bands. The festival’s line-ups always reflect and honour this great period in music and 2019 is no exception and proves once more that such praise is well-deserved. 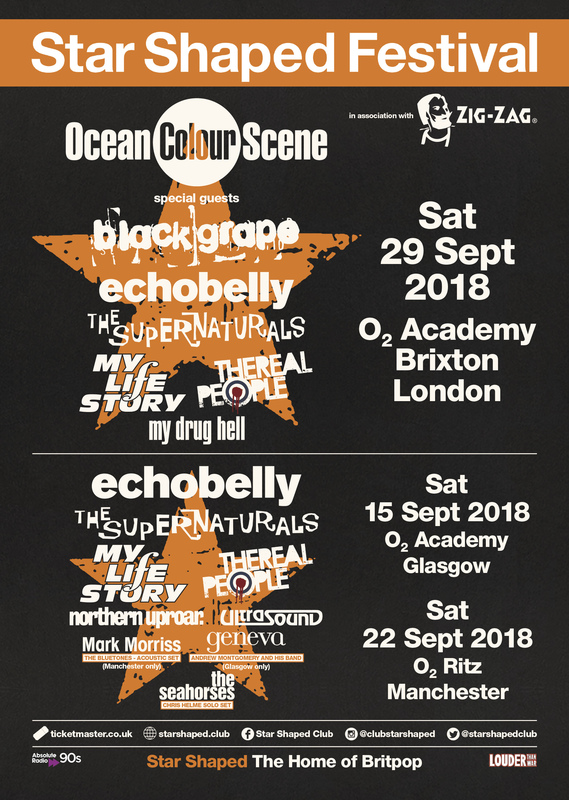 With four events across the UK in Manchester, Newcastle, Birmingham and London, Britpop fans rejoice as Liverpool legends, Cast, Space, Geneva (reforming especially for Star Shaped! ), Salad, Mark Morriss (The Bluetones) and Chris Helme from The Seahorses come together for this year’s line-up. There’s also more to come, including the addition of a legendary Britpop band playing a classic album in full…. 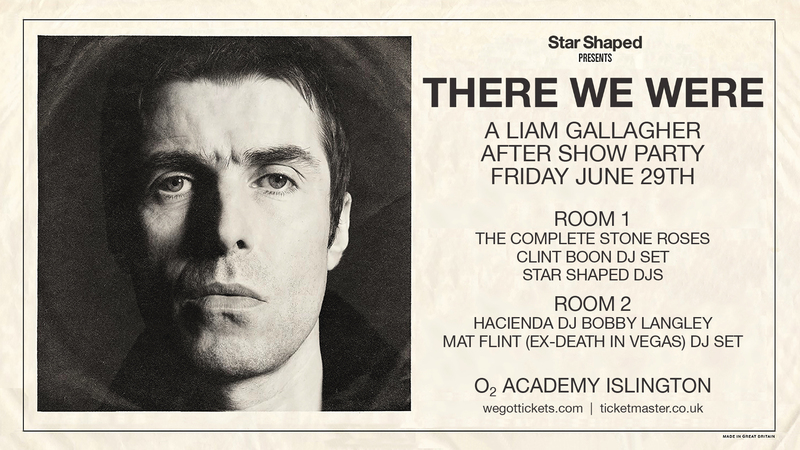 #14 ‘THERE WE WERE: A LIAM GALLAGHER AFTERSHOW PARTY’ HITS THE CAPITAL THIS FRIDAY! Click on the image above for full details and tickets! So, Star Shaped Festival 2017 turned out to be the biggest celebration of the genre the world has seen since the 90s! People travelled from across the globe to various cities across the U.K and huge historic venues were completely sold out. Every single person in attendance had the time of their life. We should probably do it again, shouldn’t we? Who’s in…?! #11 What Do I Do Now? Never let it be said that we at Star Shaped are anything other than hopeless romantics… This Valentines, we give you, Britpoppers, the sixth band for Star Shaped Festival: the return after nigh on 20 years, completely exclusive (for these dates only!) shows, from… SLEEPER! 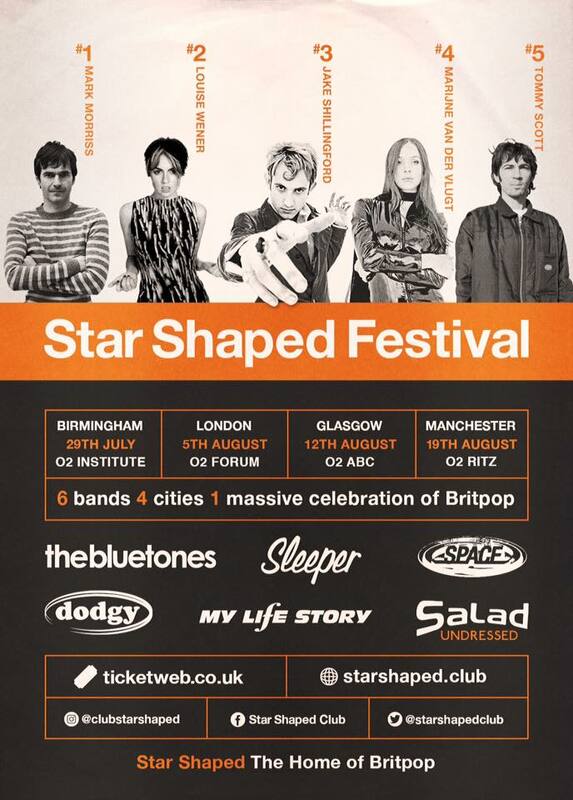 It was only ever going to be at Star Shaped: The Home of Britpop. Tickets will now shift pronto as this spreads across the internet, click the link and grab yours now! Don’t say we didn’t warn you!